If you are looking for an investment property or a home then in almost every situation you’re are also going to be looking for a mortgage so that you can afford to purchase that property. Today I sat down with Don from Mortgage choice on the Gold Coast and we talked about whether or not you should use a mortgage broker when you are going ahead and you are looking for mortgage for your property. 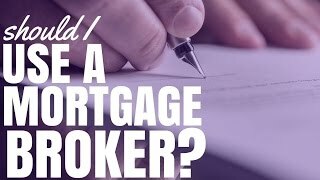 We talk about why you would use a mortgage broker and what the advantages are over just going to a bank or over to going to a lender yourself. Ryan: Hi this is Ryan and today I’m sitting here with Don form mortgage choice and today we’re just going to talk about mortgages and mortgage brokers and why would we use their services and how you can go about getting their contact, when in the buying cycle we would want to engage a mortgage broker. Thank you for coming and letting me to come to your office today to ask you some questions. First thing I want to ask, just to understand for the audience of, going back to basics-what exactly is a mortgage broker, what do they do? Don: Mortgage industry changed a lot a few years ago when a lot of people realized that *** aren’t always going to say yes. So mortgage brokers invited to give people choice. Because some, one bank might say no to the buyer so the beauty of the mortgage broker is that it is a free service (most mortgage brokers, some do charge) and it depends on the panel of lenders that a mortgage broker has. It is like going to 12 different banks all at one time. So they get a mortgage broker to give them a story and then they go to hunting for you, to try and find out how many banks can help to find because they all have different loans and different expense, different rights, products and fees. And not every bank can help every buyer. The beauty of the mortgage broker is they are working for you, it doesn’t cost you anything and they’ve got to come up with the solution that keeps the buyer happy, make the buyer to want to get a hit, you have an independent mortgage broker who is really in there for the clients best interest and try to find out what’s the best solution for that client. Ryan: I guess that mortgage brokers appeal to all purchases and to all investors or does it just appeal to some ** connection for the people with the regularities and their job employment or? Don: It is a good question. I think really, and I’m probably with buyers, so I think every buyer should go to a mortgage broker instead going to a bank because you don’t know if you are getting a right deal. If someone goes to their bank you might think you are getting the right deal. Lots of customers go to a bank and they might get a NO so the customer thinks “well, that’s it I can’t go into that transaction, that purchase.” They aren’t realizing that there is many other banks that might be happy too care. If people don’t go to mortgage broker they only domed to one possible source and that possible source might approve the loan, but is it the right loan? It’s the target loan, it’s the fees and the rights so new buyers-go and get a mortgage brokers. Ryan: So I guess you would also have this ability to look at different interest rates, fees, all of that sort of stuff, what should people be aware of? Don: What we do is, primarily we want to find out for that client how many lenders can help? We need to find all this information. Ryan: Is that like a narrowing down process because someone might not help them at all? So they don’t need to think about that? Don: Yes, absolutely. When we first meet clients, we *** and then we find out what they want and then we go and find all the info. It is seriously just questions and answers * ask around on it*. Then we have to go and o our homework and that homework involve eliminating and founding out how many can help. There is usually some sort of peculiarity with nearly every require. It’s either the type of property they want to buy, it’s their income or it’s their time in their job or that session of working *** series or there is so many unusual circumstances so we got to find out those things. Then we got to find out, out of our 27 lenders there might be 12 or 6 that can provide the loan. And it is the matter of talking about type of loan product that suits the client, and the cash flow and at top, the thing they are doing. So if you are investor over time it is interest only, it’s how you derive or channel the flow of money towards an offset account, to have rent and all about income, no need for the offset, having direct ** to the interest only loan. Once we talked about the type of loan product that suits the client then it is the matter of comparing between those 5 or 6 things, it’s rates and fees. A lot of people get caught on fees and they don’t understand that 0.1 % difference in the rate can usually mean a lot more than a fee, depends on how much they borrow. Ryan: There is actually a lot m ore to think about than just interest rate because you got to think about the fees as well but what a lot of people don’t know is that you actually have to think about how are you going to structure your loan and as you were just saying how are you actually funneling money into that loan and how do that loan using offset account and so forth. So it does as you say like to get start very complicated, for new investors and for people who are regularly investing, we can’t expect to know all this things. Don: Years ago is was sort of normal that if someone bought rental property or investment property that you would open the separate bank account and you put the rent in there and you have to pay the loan from out of there. It’s now coming around to being more acceptable that you don’t need to do that. You can drive all the income into an offset account and have the offset account related to non-deductible home loan. When someone has a home loan or an investment loan they are two different types of borrowings. One is tax deductable, the investment loan and the home loan is not. I always suggest to people who have both is to try to get all income going towards the non deductible home loan because we want to pay it of sooner. The system in Australia allows for a 100% of tax deduction on those investment loan so I always suggest you have this investment loan that will pay off earlier. Leave it as an interest only loan and channel all of your money over here. You still got to pay interest each month but at least got the rent from over into home loan, Come down sooner and all within customers comfortable zone. Ryan: That’s probably conversation for another video but that is great RD that people can take away from this, is that when you are looking at owning a home and you are looking at owning an investment property there is ways you can actually funnel funds to make your loan payments on your house lower so you can maximize your tax seductions on your investment property. And that gets, again very technical, and it is advice that you do go and see professional like Don- mortgage broker who knows the industry, has their licenses that they are aimed to do that and everything like that. Don: With property investment you need a team, you need a solicitor for convincing, you need a *** if you want advice on structuring, there is appreciation reports, there is a lot of things that a good, successful property investor needs and what he needs is a mortgage broker. Don: First of all is finding out how much you can borrow and a good mortgage broker will find that out and the second of all is then to do your homework, Where you want to buy your first investment property and there is some really good publications and there is really some good online tools and do your homework. You don’t have to rush in, and it is a bit of a bounce because there is a lot of people who may rush in and get emotionally involved and there is other part of the spectrum is people who intake years of analyzing and don’t ever take the step. Find out how much you can borrow, do some research, team up with some people that you feel comfortable with and you know your interest are in their best advice and, make your first step and get it set up right, understand how it’s set up and then 2 years later- do it again. Ryan: So, rinse and repeat once you know exactly what are you doing. And last thing I want to ask you, Do you have a favorite property investment book, you’ve read, that you would recommend? Property investment magazine? Don: I’ve subscribed for it for over 10 years, it is the bible for property investment, for residential industry and it has great articles from first time investors all the way trough to sophisticated investors, at the very back of it has it has every suburb in Australia. Ryan: Yes, I love the stuff in the back, it has so much great data. You can check that out at the APImagazine.com.au and that’s their page, you can sign up for subscription there or they do have bunch of free content on their site. Thank you very much Don. If you want to get in contact with Don, it’s super easy, just go to my short link which is pca.im/don and that will redirect you to his site with his contact details on there. Mortgage brokers can deal with people all over the country, you don’t have to be on Gold Coast to get in contact with Don so just go pca.im/don, check him out, give him a call he will be there to help you out work out what your borrowing capacity is and work out what the best loan is for your needs.